Our God is so amazing and always full of new and wonderful blessings in how he continues to enrich our lives. 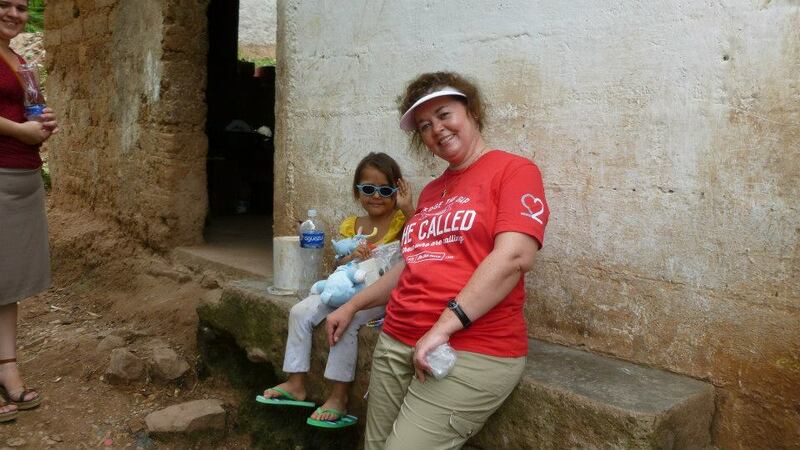 This mission to Honduras was my second one out of the United States. God has shown me that we must always continue to be open to enlarge our territory even if we have His joy right where we are standing. The Holy Spirit always has more for us and he always fills us with more to give. We can never limit ourselves because we have a God who has no limits. This truly is our Father’s world. Looking into the eyes of a child in the Dominican Republic or wrapping my arms around an elderly Honduran woman makes me understand that in Christ we are truly a family who longs for their faithful Father to always supply what is needed. It is an honor to be a part of bringing in the end time harvest for our King. Seeing the beauty and workmanship of every precious child that God has created and being able to share the truth of the precious gift of salvation is beyond the spoken word. I believe it can only be truly expressed when my hands are lifted high and I worship my God with every part of my being. When deep cries out to deep, then is when my gratitude can begin to be expressed. Lead me on Lord……let me hear and obey. Continue what you have begun and continue to show me your way. I will end by expressing my gratitude and love to my wonderful friends Doug and Janet and their family who have been obedient to follow the leading of the Holy Spirit, and to my brothers and sisters who have walked right beside me on the mission field. It is an honor to have carried the message of salvation with you.